CHICAGO (WLS) -- ABC 7 Chicago celebrates Black History Month with special news reports, programming and vignettes throughout February. A special presentation of HEART & SOUL, an ABC 7 series that taps into the essence of Chicago's African American community, aired Saturday, January 28 at 6:00 pm. This edition of HEART & SOUL, hosted by ABC 7's Hosea Sanders and Cheryl Burton, with contributions from Leah Hope, Jim Rose, Charles Thomas and Val Warner has an encore presentation on Sunday, February 5 at 4:30 pm. HEART & SOUL, recently winning its 3rd Chicago Emmy Award, is produced by Rubye Wilson and Holly Grisham. 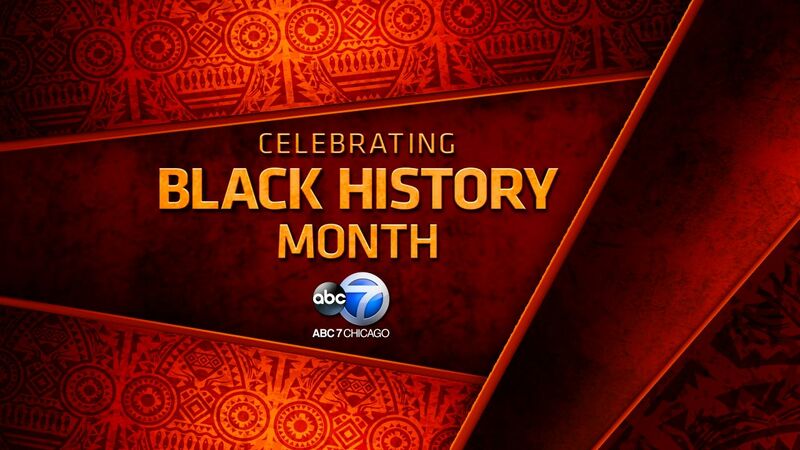 ABC 7 EYEWITNESS News and Windy City LIVE will also feature special Black History Month stories. Co-hosts Cheryl Burton and Hosea Sanders were at Chicago's renowned DuSable Museum of African American History to introduce the inspirational stories of HEART & SOUL during Black History Month. A special presentation of HEART & SOUL, an ABC7 series that taps into the essence of Chicago's African American community, aired Saturday, January 28, 2017 at 6 p.m. In this edition of HEART & SOUL, ABC 7 anchors shine a light on the educational mission of Dr. Roslind Blasingame-Buford, executive director of Link Unlimited. "Dr. Roz," who was featured in Oprah Magazine, among other honors, has a history of empowering youth and communities through quality after school and enrichment programs. Under her direction, Link has successfully provided education and training that has helped transition more than 2,200 economically disadvantaged African American youth to college. Then, HEART & SOUL shines a light on Bright Endeavors, a non-profit helping single mothers. The organization employs 85 moms each year to make scented candles. In addition to pouring and packaging candles, these women learn other critical job skills which will enable them to pursue more permanent positions after the program is completed. Continuing the focus on education, the program highlights the mission of Kappa Leadership Institute of Chicago. Kappa Leadership Institute's primary goal is to provide education and college readiness for economically disadvantaged and/or underrepresented minority males, primarily African American high school youth. Next, viewers will hear the success story of Luster Hair Care, and how this "made in Chicago" company owned by African Americans, has thrived to become a premium manufacturer of personal care products. Founded in 1957 to cater to the needs of Chicago's African American community, Luster Hair Care is currently celebrating its 60th anniversary serving people around the globe! Toure Muhammad, who wanted to showcase Black-owned businesses and the amazing people who run them, is profiled. Muhammad founded BlackChicagoEats.com and HEART & SOUL visits two of the restaurants featured, Luella's Southern Kitchen and Diamonds Sports Bar and Grill. He's only a freshman at Morehouse College, but Amari Smith has made his mark producing events for young creatives to showcase their craft. Amari talks about how he inspires other young people to pursue their passion. Beginning February 1st, and throughout Black History Month, ABC 7 will air a series of vignettes celebrating organizations that take pride in providing educational opportunities to Chicago's African American community. The vignettes will be hosted by ABC 7 Eyewitness anchors/reporters -- Terrell Brown, Cheryl Burton, Evelyn Holmes, Leah Hope, Will Jones, Karen Jordan, Jim Rose, Hosea Sanders, Charles Thomas and Windy City LIVE's Val Warner. On Sunday, February 12 at 12:30 pm, ABC 7 Chicago will air LIBERTY MEDAL. This special produced by WPVI, the ABC station in Philadelphia, will spotlight civil rights icon Representative John Lewis. He remains the only surviving "Big Six" leader of the Civil Rights movement in the 1960s. He was honored in Philadelphia for his courageous dedication to civil rights and the U.S. Constitution. The National Constitution Center's Liberty Medal was established in 1988, and annually honors men and women of courage and conviction who strive to secure the blessings of liberty to people around the globe. Sunday, February 19 at 1 pm: AFRICAN AMERICAN SHORT FILMS. This special features short films, ranging from comedy to drama, created by African Americans. The films are the voices and images of contemporary life in the African American community.